The new look CX-9 is coming to Australia but you will have to wait a little while. New regenerative braking technology makes its debut in the next midsize sedan from Mazda. 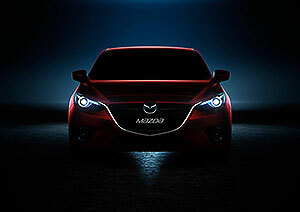 Mazda has just released the Genki – a new top-of-the-range model in the Mazda2 lineup. Last month it was the Mazda Minagi concept – this month it’s the Mazda CX-5 production model. The new Mazda2 is sure to be a hit here in Australia. The new Mazda6 variants are due here “around Autumn”. Mazda CX-9 gets an upgrade and a new top-of-the-range model.